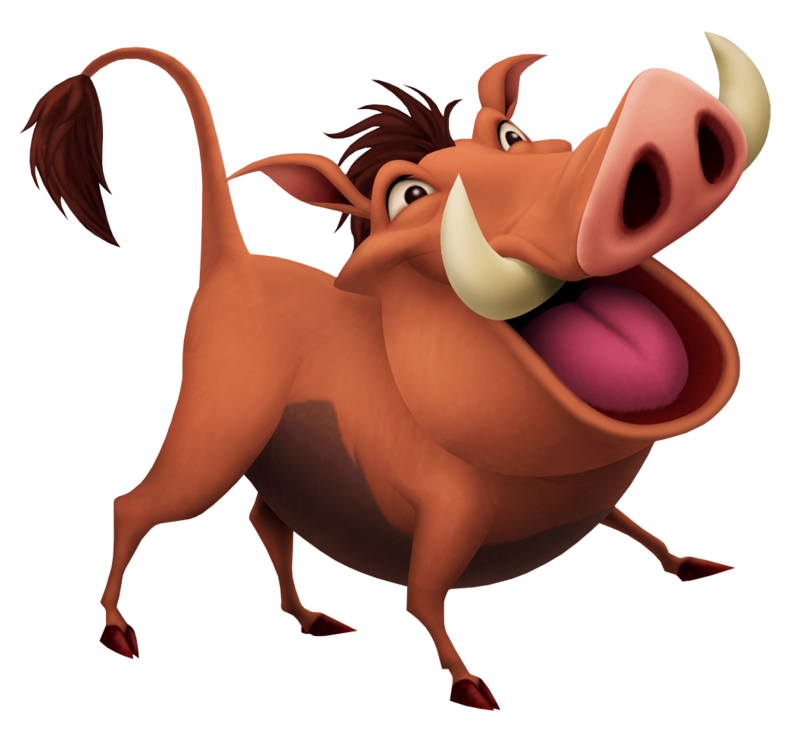 A warthog with a stench that can span for miles, Pumbaa is actually an extremely kind and sensitive fellow to make up for his lack of courage and paranoia of being eaten. Together with Timon and Simba, Pumbaa practiced Hakuna Matata for years, but is the first to rush to Simba's side whenever he needs help. Despite his pacifist exterior, Pumbaa is seriously offended when someone calls him a pig, which the hyenas learned at their own cost.